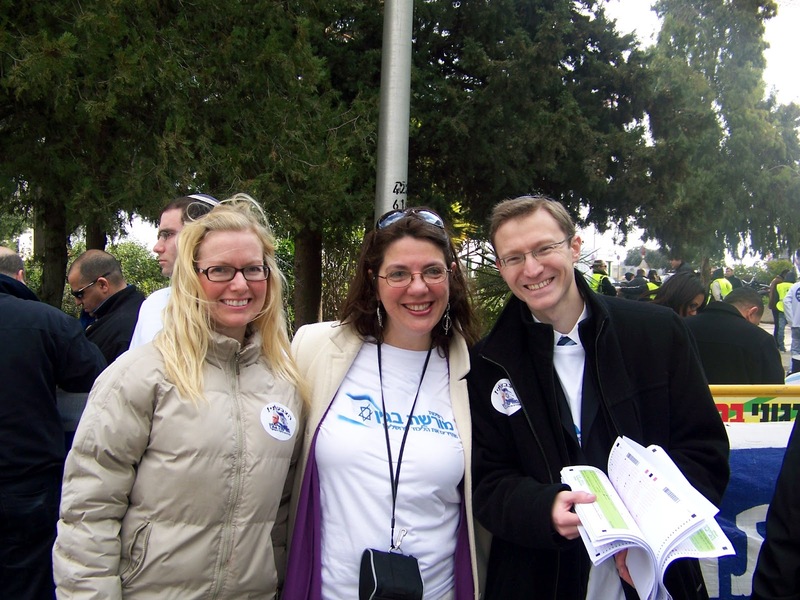 JERUSALEM, February 14, 2012--Likud Anglos executive director Daniel Tauber and Likud Anglos Ra'anana coordinator Sonia Graham were elected to the Likud party's Central Committee, according to elections results recently released by the Likud. Graham came in third in Ra'anana, while Tauber came in sixth out of 303 candidates in Jerusalem. Unfortunately, other young Likud Anglos activists running in Jerusalem - Yehudit Zvaig, Linda Brunell and Sara Rivai - were not elected. However, many other Anglos all over the country were elected. In a letter to members of Likud Anglos after the elections, Tauber said he would contact Anglos elected in order to advance the concerns of the English-speaking community. In an interview with the Jerusalem Post, Tauber also decried the primacy of deal-making in the elections, saying the elections "felt less like democracy and more like the game show 'Let’s Make a Deal.'"